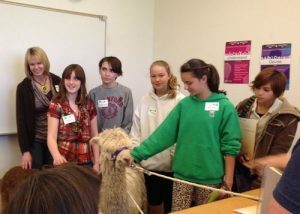 The AAUW- Empowering women since 1881, presented the Women in Stem Conference for 6th, 7th and 8th Grade Girls at Shasta Collage. This is the 4th year we have participated and the first year we have been asked to be a presenter. 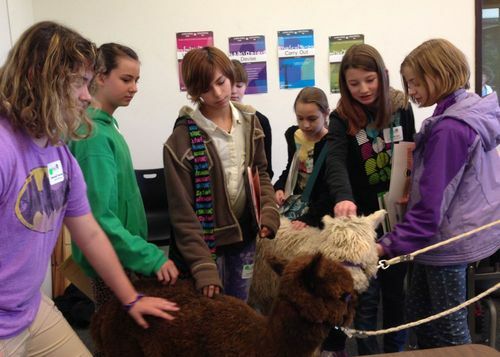 Our topic was Animal Husbandry. 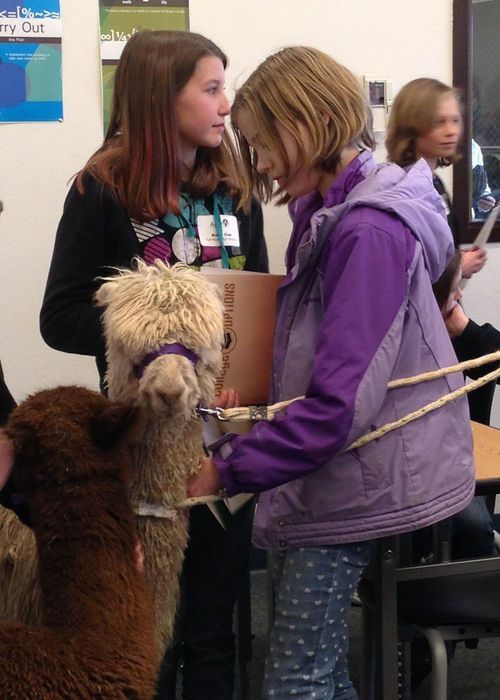 I’m not sure how well the presentation went but I know the alpacas were a hit. The goal of this conference is to encourage girls to continue their education beyond high school. 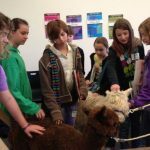 We talked about the history of the alpacas as well as what it takes to raise and breed alpacas. We had an exercise where the girls were given EPD information (at a very simplified level) with a set of goals and asked to determine which male would best suit the female. The group of girls that attended these sessions asked specific and detailed questions. 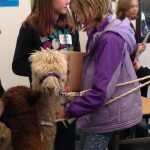 Without a doubt the hit of the meeting was getting to met Magdalena and Lindbergh the alpacas. We had a great day!